The features of Periotheus support you in all aspects of schedule management, beginning with creating business data and its aggregation, to accounting and nominating transports with system operators (TSOs). 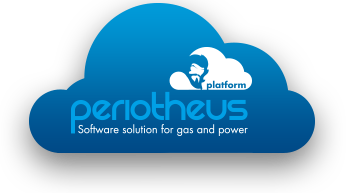 Periotheus serves as a central data hub for all types of market-related communication and messages from all processes related to the energy industry. This comprises trading schedules, SSO and TSO nomination, balancing group management messages, execution of switch processes and more. The incoming and outgoing messages are clearly displayed in a communication centre, and can be filtered according to various criteria and processed automatically. The status of the schedules is shown using an intuitive traffic light system. 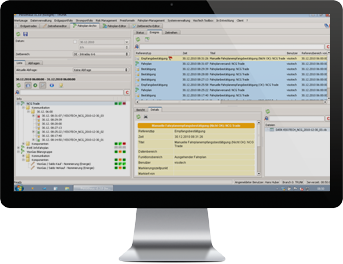 Schedule management can be automated to any extent, right up to fully automated operation, which only requires user interaction in exceptional cases. Therefore, for example, in the case of a mismatch, the person on duty can be informed immediately by SMS or email. Furthermore Periotheus can automatically process ACK, ANO and CNF messages.